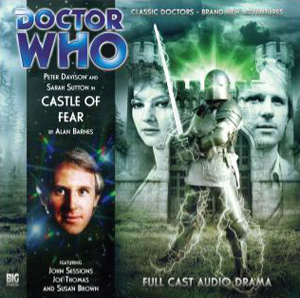 A new adventure in time and space for the Fifth Doctor and his companion, Nyssa. The first in a trilogy of adventures set in Stockbridge – the Village that Time Forgot. I think Big Finish only have a licence to cover classic Doctors, I can see David Tennant doing stuff in the Future if he can but i cant see Christopher Eccleston doing anything to do with Who. I wonder if, in 20 years time, Christopher Eccleston and David Tennant will be doing Big Finishes? The Ninth Doctor might even get new companions! It’s released on Halloween so it better be spooky!